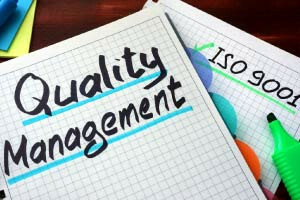 Modern businesses and organizations have recognized the importance of quality management in improving their business functions in its day-to-day operations. Hence, quality management system regimes such as the ISO 9000 family have been implemented worldwide. This quality management course helps quality management professionals as well as learners interested to pursue a career in the area to successfully implement a quality management system. This quality management course provides beginners with an introduction to the concept of quality management. It answers questions like what a quality management system is, why it matters, and how companies use it. The course then tackles the most widely recognized standards used in the world, the ISO 9000 family. The fundamentals, specifications, and costs involved with ISO 9000 quality management standards are discussed in detail. Each business is unique with its own set of goals and objectives to achieve. This quality management course presents the different types of quality management systems along with their own pros, cons, and applications. These include the Total Quality Management system, the Service Quality Management system, and Six Sigma. Quality management professionals will be shown which system to implement in order to solve particular problems. The course further covers external benchmarking as an important strategic tool for Total Quality Management. Quality management systems are highly complex, and successfully implementing them is a challenge for businesses and organizations. The course we offer addresses this challenge by providing a comprehensive guide to the concept of quality management. This will be of great benefit to quality management professionals and learners interested in taking their career to the next level. So start the course now, and you will be on your way to successfully implementing a quality management system into your business. Describe an overview of Quality Management. Describe Quality specifications and costs. Explain Total Quality Management tools and external benchmarking. - Describe and explain ISO 9000.